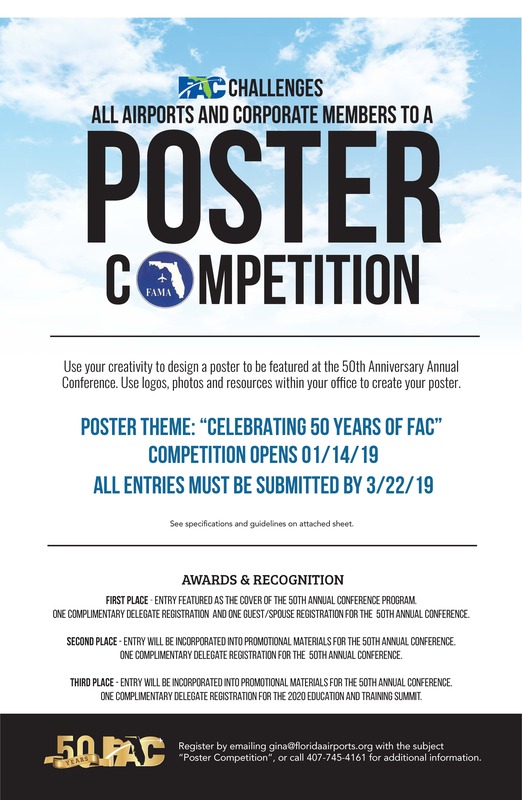 Use your creativity to design a poster to be featured at the 50th Anniversary Annual Conference. Use logos, photos and resources within your office to create your poster. Poster Theme: "Celebrating 50 Years of FAC"
See flyer for additional details and poster specifications.